You are probably getting sick of hearing me talk about Sweet Paleo by now. But as a thank you for putting up with all the blathering on about it, I’ve decided to share one of my favorite all-time recipes – Paleo Chocolate Cake. I tweaked it for the cookbook – adding in flour weights so you can get it just right. I love the roasted beets in the cake – don’t worry, it doesn’t taste like beets, just a rich chocolate cake. But if you don’t like beets or don’t have them on hand you can also use applesauce. It’s a great paleo and nut-free cake sweetened only with fruit. Preheat the oven to 350°F. Grease an 8- or 9-inch round cake pan with coconut oil and line with parchment paper. Weigh the coconut flour and cocoa powder and sift together with the baking soda and salt into a medium-size bowl; set aside. Place the dates in a food processor and pulse until coarsely chopped. Slowly add the apple juice to moisten the mixture. Add the beets and continue to pulse until pureed and combined with the dates. Process until the beet puree is completely smooth. Transfer the beet puree to the bowl of a stand mixer, add the eggs, coconut oil, vanilla and coffee and mix on medium-low speed, using a whisk attachment, until well combined. Slowly add the dry ingredients to the wet ingredients and mix on low speed, scraping down the sides of the bowl, until you have a smooth batter. Pour the batter into the prepared pan and smooth it with the back of a spatula. Bake for 30 to 35 minutes (depending on pan size), or until a toothpick inserted into the center of the cake comes out clean. Grease mini Bundt pans and bake for 20 to 28 minutes, depending on the size of the pans, or until a toothpick inserted into the center of a cake comes out clean. 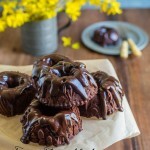 For a really decadent treat you can top with Chocolate Ganache. 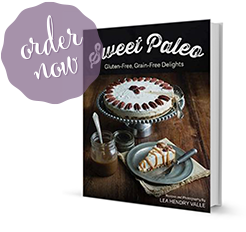 Click here for more information on Sweet Paleo: Gluten-Free, Grain-Free Delights, including photos, link to a complete list of recipes, allergen guide and where to buy. 19 Responses to "Paleo Chocolate Beet Cake Recipe"
looks great…can water be used instead of apple juice? Yes, apple juice adds some sweetness but otherwise water should work fine. Looks amazing! I am on Paleo AIP so I need to substitute the eggs. Do you think I could use gelatin eggs? Thank you in advance! I would like to be able to say yes to your question about substituting gelatin eggs for the eggs. I have not tried it and am therefore reluctant to say yes. In my experience it is difficult to substitute eggs in recipes calling for coconut flour. This recipe does not have as many eggs as my chocolate birthday cake recipe so it might be possible. I can’t make any guarantees, unfortunately. Looks delish. Could you suggest a substitute for the dates please? Unfortunately, the dates are a pretty key ingredient to this recipe because of not only the sweetness they add but the liquid and texture. It would not be easy to add a liquid sweetener without also adjusting the other ingredients. Cooking with coconut flour is somewhat tricky already so I don’t recommend tweaking things on the fly. I made this the other day to trial a paleo cake for my sons birthday. Instead of using Apple juice I used coconut water as I had it on hand. It was delicious! Thanks so much. Using coconut water is a great idea! Would it be possible to double the amount for a bigger cake tin or could things go wrong? I think it would work. You would need to adjust the cooking time I think. My non-paleo husband says that this is the BEST and moistest chocolate that he as EVER had. I try not to eat any refined sugar, so I couple it with a chocolate avocado frosting sweetened with maple syrup. For Christmas I made your double chocolate biscotti, Vin Santo Biscotti and Dark Chocolate and goat cheese truffles. OMG, all were incredible. I crushed some of the Vin Santo and used it as the crust in a goat cheese honey lemon blueberry cheesecake. No one had any clue or cared that these were gluten-free. My husband says that I have to make all of them again soon, especially the chocolate biscotti which he devoured…again, he is non-paleo…you are brilliant! Hi Lea, about to make these yummies for the umpteenth time, but was wondering what you’d think about subbing some ripe mashed bananas and/or homemade apple butter (it’s really made to be applesauce — just apples and Meyer lemon juice, but almost no water, so really came out thick like apple butter) instead of the apple juice and some of the dates. Was thinking something like about 1.25 cups mashed banana and applesauce combo and 5 dates or 1.5 cups of the combo and no dates. Any thoughts on this? Thanks! I haven’t tried it as you’ve described but it sounds like either one could work. Of course it won’t be as sweet as it is with all the dates. I have another recipe that inspired this one you might like to check out. 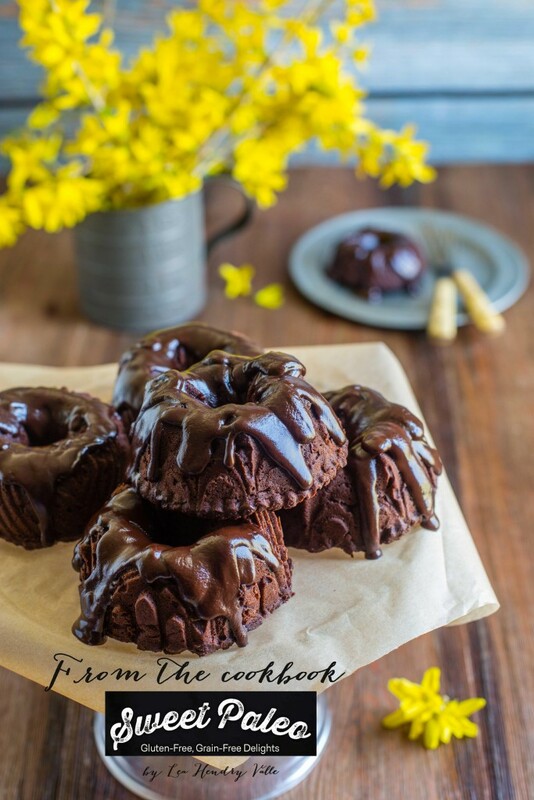 “Chocolate Paleo Snack Cake“. 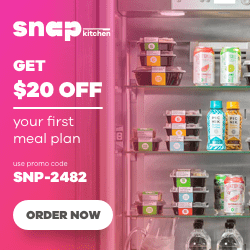 That recipe has dates but it replaces the beet puree with either bananas or applesauce. If you are looking for a way to use those things you could try that one instead. If you are still wanting to use beets then I’ll be curious to hear how you make out and which measurement you chose. I remembered from the last time making/tasting them feeling that it could use a little less oil, so I did do one modification: 1/3 cup applesauce and only 1/4 cup oil. I baked 13 cupcakes (overfilled, domed top), for 24 mins. Hubby says they’re incredible!